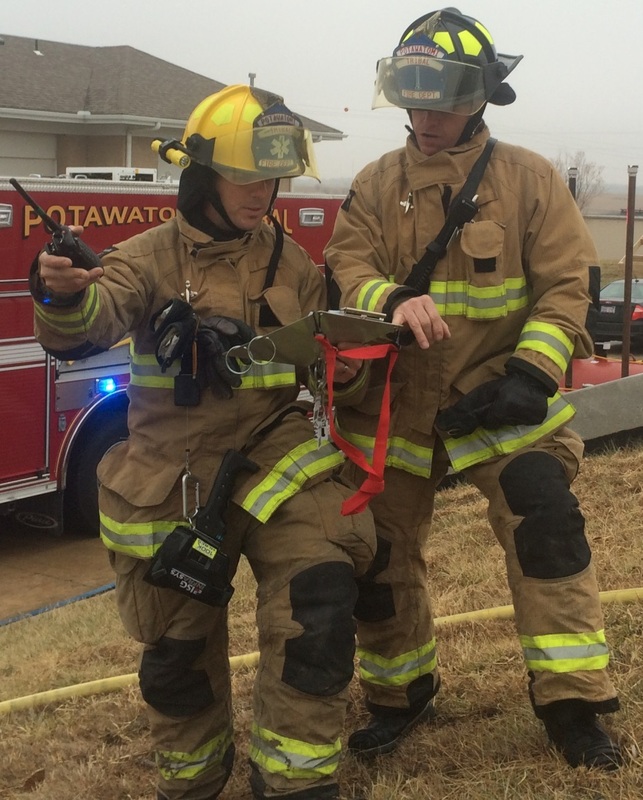 The mission of the Potawatomi Tribal Fire Department is to provide our community with the highest quality service for the protection of life and property. We dedicate ourselves to the principles of value based leadership, teamwork, service, and sacrifice. Our fundamental purpose is to serve those in need with kindness, compassion, and the utmost professionalism. 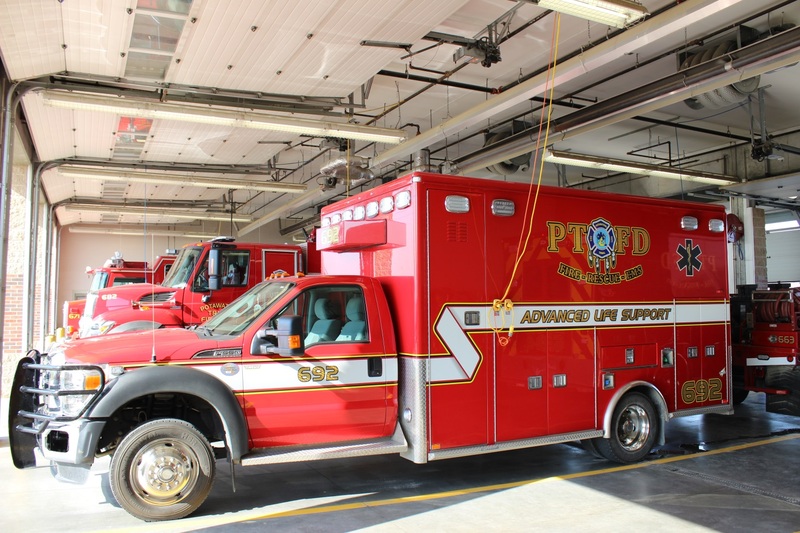 The Potawatomi Tribal Fire Department provides 24 hour around the clock fire protection, rescue service, and advanced life support emergency medical care to the residents and guests of the PBPN Reservation. Staffing consists of 19 full-time and several part-time Firefighters. 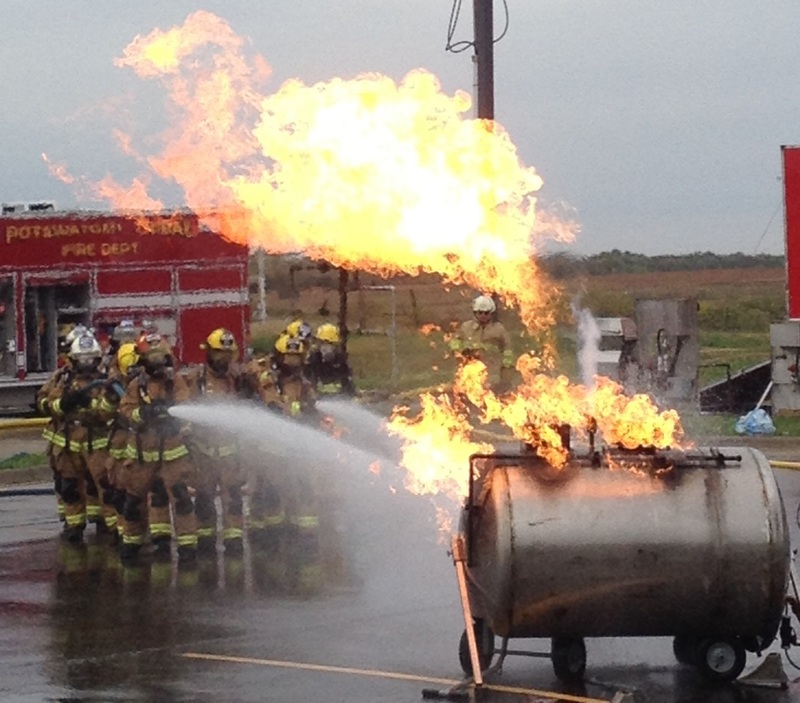 Each department member is required to be a nationally certified Firefighter as well as a Paramedic, Advanced EMT, or EMT. The department is led by a Fire Chief/Paramedic and an Administrative Assistant who manage the front office. Acting Officer Jon Gwartney and Lt. Bruce Coates discuss incident command during a training exercise. Approximately 60% of our 1500 calls each year are medical in nature. Our primary response area covers over 121 square miles of both suburban and rural areas including the Prairie Band Casino & Resort and the major facilities of the Prairie Band Nation. From grass fires, to medical calls, to structure fires, and Home Health Assists our duties vary every shift. Our firefighters spend a third of their life on duty helping the community. Our motto is “We default to Service” which means no matter what the problem we do our best to help those who call on us. The fire department was founded in 1980 and began providing ambulance service in July of 2000. In addition to the emergency medical response provided within the local area, PBPN members or employees who live outside the reservation boundaries may request the fire department ambulance for medically necessary non-emergency transports to a hospital or in-patient care facility located within the region. Ambulance fees for Tribal Members that are not paid by insurance are not charged to the Member. The department regularly works with our neighbors at other Jackson County fire departments on fires and medical emergencies. We participate in an automatic mutual aid agreement with the Hoyt, Mayetta, and Delia Fire Departments. All four departments automatically respond together on various fire and emergency incidents. This cooperative agreement insures the closest unit responds immediately and that adequate resources are simultaneously dispatched to calls regardless of jurisdiction. This example of neighbors helping neighbors benefits the entirety of southern Jackson County. 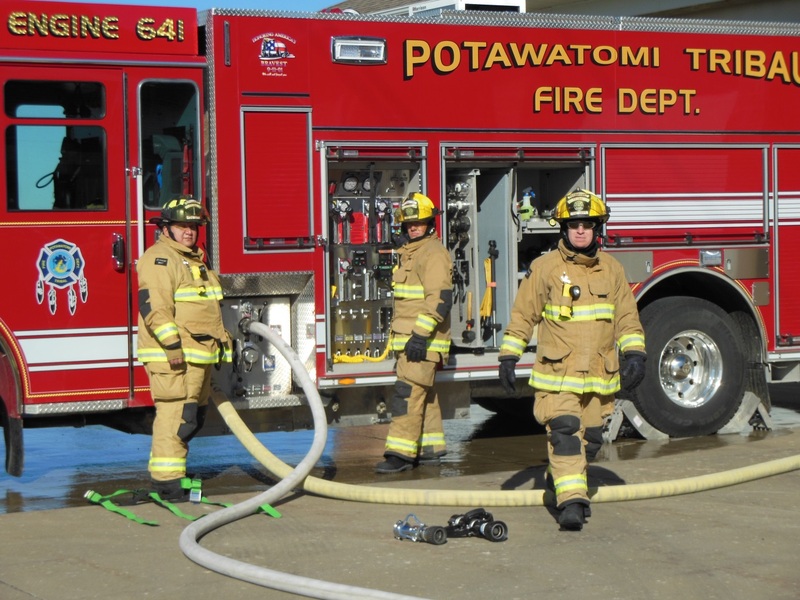 During more than 35 years of serving the PBPN Reservation and citizens of Jackson County the Potawatomi Tribal Fire Department has become known for its excellence of service in both fire and EMS. The department has received multiple Outstanding Service Awards as well as many 100 percent compliance ratings on our annual State of Kansas Ambulance Service Inspections. We are the only full-time career fire department in the county and carry an Insurance Services Office Public Protection Classification (ISO-PPC) rating of 3/3x which is the best of any department in Jackson County. Responsibilities of the Tribal Emergency Response Committee (TERC) include the development of a PBPN emergency management plan, community preparedness, training and education. The core command team for emergencies consists of the Emergency Services/Fire Chief, Tribal Police Chief, Tribal Council Chairperson, General Manager, Tribal Planning Director & Road & Bridge Director.